It sounds like the ultimate do-it-yourself project: the print-your-own-home with 3D printing. 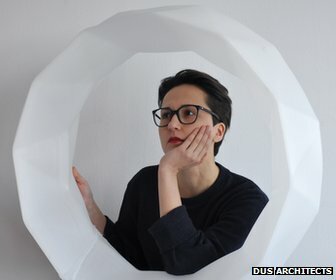 In place of bricks and mortar and the need for a construction crew, a customisable building plan which transforms itself from computer screen graphics into a real-world abode thanks to the latest in 3D printing technology. That dream is still beyond our reach, but several teams of architects across the globe are engaged in efforts to take a major step towards it by creating the world’s first 3D-printed homes. Amsterdam-based Dus Architects is one of the firms involved – it plans to print a canal house in the Dutch capital. Explore 3D printing through this video demo with Robert Scobel and Type A Machines. Tilt-shift lenses are used to create a miniature effect or a very shallow depth of field in an image. This has long been a DIY project, mostly because professional tilt-shift lens and adaptors are generally expensive. A hobbyist named Joe Murphy has made a limited function adapter by creating one that is 3D printable. Murphy sought to create a simple, cheap, light, and durable adapter to fit a micro 4/3 Panasonic GF1 to Nikon e-series mount. He has uploaded design files and if you have access to appropriate software, you can download, edit, and rework the adapter design. Joe advises for the best results, a micro 4/3 camera with a standard 35mm lens should be used.